The hit Harry Potter Parody premiered at Market Square at Crocker Park this past weekend and runs through January 6th. The world renowned Harry Potter parody production, Potted Potter, made its third Cleveland appearance, and first ever at Crocker Park’s event space Market Square, on Dec 15th to begin its three-week run here in Cleveland. The unique production goes where no other Harry Potter fan has ever gone before, condensing all seven books into 70 hilarious minutes. 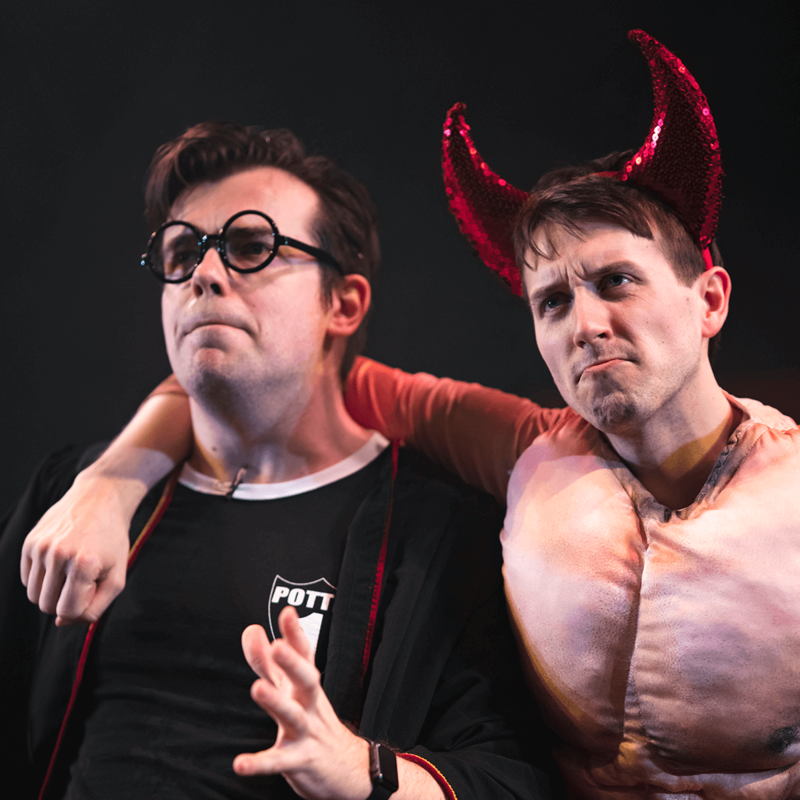 The show, featuring James Percy as Harry Potter and Jesse Briton as … well, everyone else, combines the franchises’ plot and characters into a two-man show with elaborate costumes, props, a live game of Quidditch, a fire-breathing dragon, and an epic closing musical number that will keep you entertained and laughing throughout the entire production. Crocker Park’s event venue space, Market Square, has transformed into a full on theater with the help of Hughie’s Event Production Services and Potted Productions that perfectly showcases the high-energy, fast-paced nature of the performance. Its location also allows Potted Potter guests to enjoy all that Crocker Park has to offer in terms of shopping, dining, and even holiday attractions, before and after the show. Tickets are currently on sale for multiple weekday evening shows as well as weekend matinee and evening performances throughout the Cleveland run. They have also partnered with The LeBron James Family Foundation to donate $5 of every ticket sold to the I Promise School in Akron. For more information on Potted Potter, show dates and times, and to purchase tickets visit Ticketmaster.com. Harry Potter Condensed Into 70 Minutes!